If you’re like us, you never get tired of stories from Haunt Season. We never get tired of talking about it. 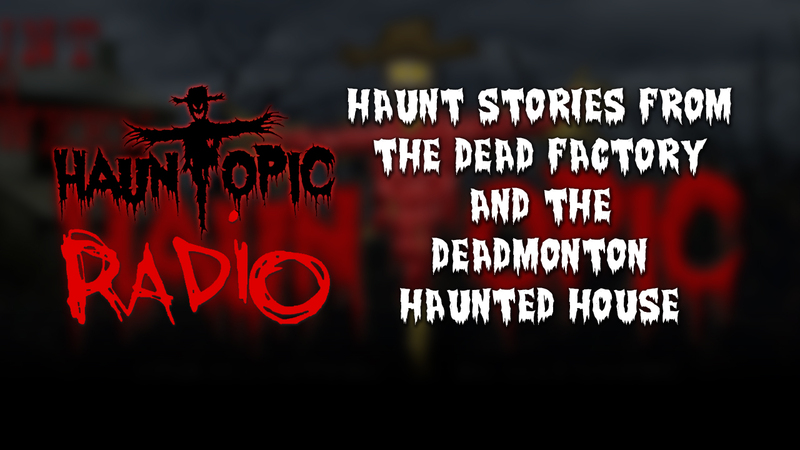 Here are the highlights from our experiences as Co-owner of the Dead Factory Haunted House (Brian Foreman) in Missouri and Manager of the Deadmonton Haunted House (Darryl Plunkie) in Canada. “I’ve been through the super fancy haunted houses at Halloween Horror Nights in Universal Studios – Orlando, and The Dead Factory blew those big budget houses away. The actors are superb, the scared are bone chilling, and you can feel the level of care that they put into their craft.